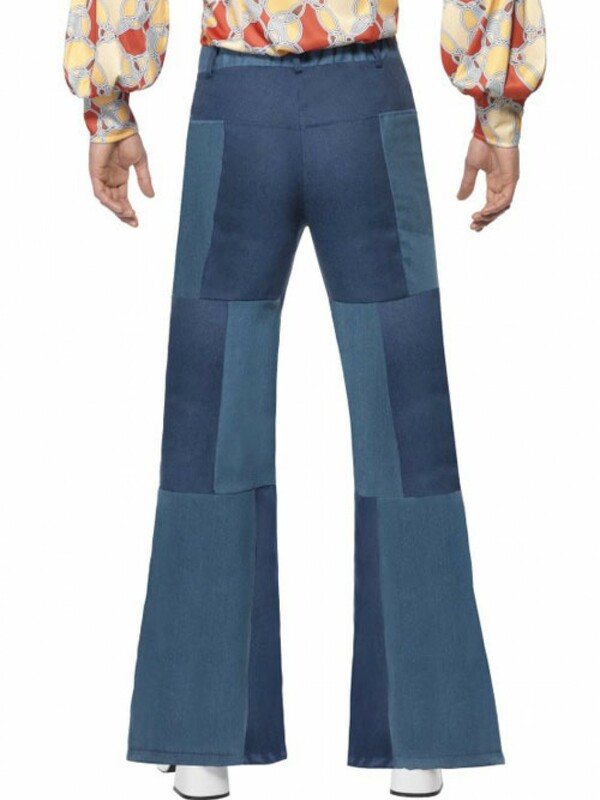 These DiscoFlares are the perfect item to create your own unique 70s Costume and have a denim look with patchwork design. Available in two sizes. A pair of groovy 70s Hippy Flares which provide an instant 60s Costume on their own - or simply team with a few 70s Accessories to create your own groovy look! The Hippy Flares have a patchwork design in a denim look material which is soft - giving you both comfort and style. They have a button and zip fastening at the front to create a slick look and an elasticated band at the back for additional comfort. The waistband also features loops for a belt for further sizing flexibility if required. 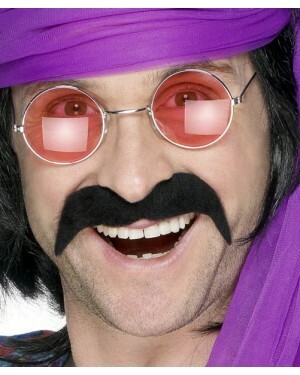 They flare out at the bottom for the ultimate sixties look. 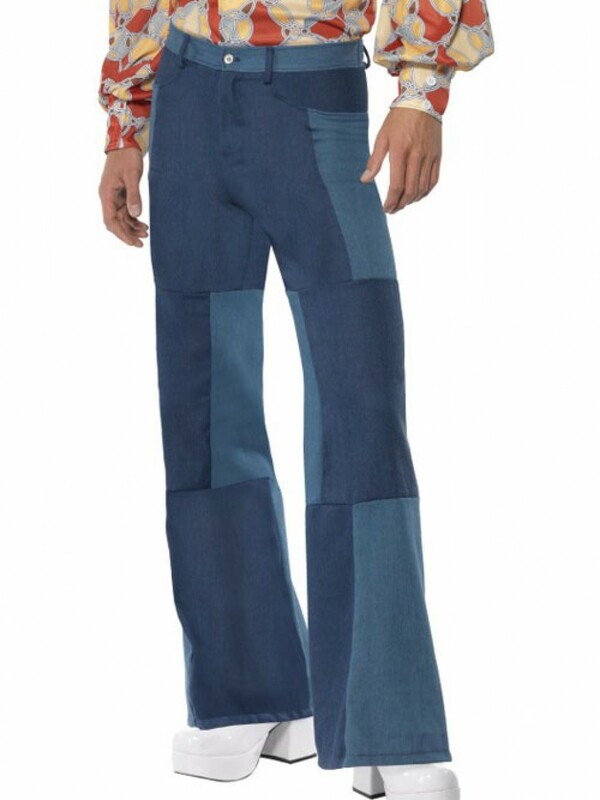 A groovy and fun pair of 70s Hippy Flares for your party occasion!